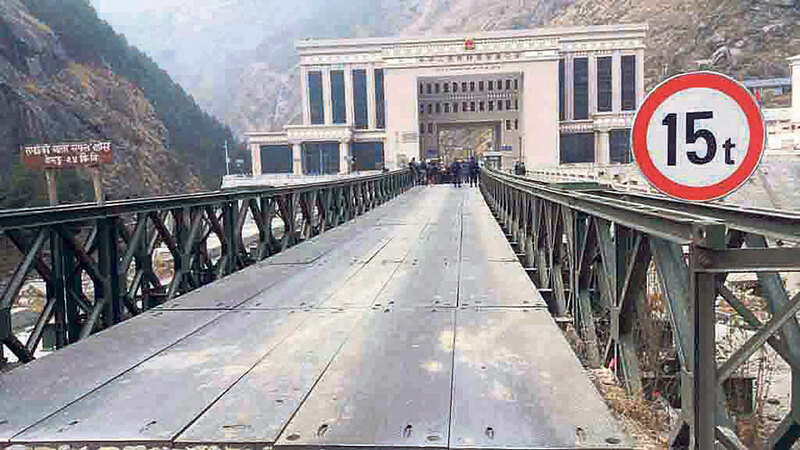 RASUWA, Aug 19: Delay in repair of a flood-damaged bridge in Rasuwa has cut off the country’s linkage with China’s Tibet, halting bilateral trade for the past three weeks. Over 200 containers carrying Chinese goods are stuck in Kerung during this period. The route is the only international crossing point through which Chinese tourists come to Nepal using surface transportation. Damage in the Ghhattekhola Bridge in Gosaikunda Rural Municipality three weeks ago has not been fixed yet. 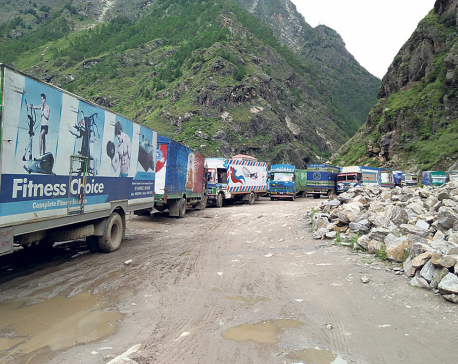 Consequently, only Rs 260 million, which is only about half of the targeted revenue collection, has been collected from the border point in the first month of the current fiscal year. High water levels in the Ghattekhola River had damaged the bridge over it. However, as the water level has not yet receded, repair works could not be started, according to the Division Road Office, Nuwakot. Disruption in road connectivity has also delayed works of installation of equipment at the customs points. To modernize the customs point, the Department of Customs had planned to install walkthrough gate and luggage x-ray machines there. These reforms were planned to curb illegal trading activities by the passengers. There have been reports that gold smugglers also use this route. 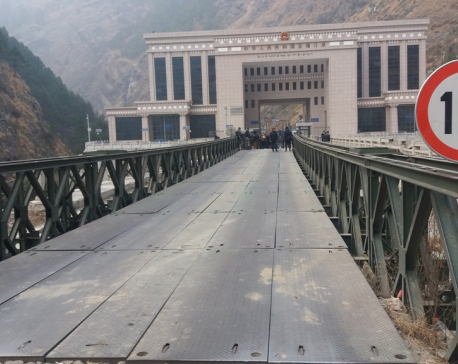 Rasuwagadhi customs point came into operation from November 2015 after the Tatopani Customs was shut down following the devastating earthquake of 2015. The trade point was declared an international transit point in August last year. Goods imported from China through this point are mostly readymade garments, apple, ladies sandals, rubber, plastic sandals and shoes, handbags, leather shoes, and motor batteries. Nepal exports mostly metal statues, wooden appliances, bamboo stools, toothpaste, cosmetics, noodles, pasta, jam, woolen carpet, chewing gum, hair oil, and hair creams. At least 250 containers pass through this route to Kerung every day. Besides, about 7,000 tourists have entered Nepal via this route during the first seven months of this fiscal year.